Named multiple years to Denver Business Journal's "Who's Who in Energy" and "Top Women in Energy (Real Estate)"
Keirstin focuses her practice on assisting real estate developers and property owners in all aspects of development, finance and acquisition/disposition. Her primary expertise is identifying, leveraging and securing various forms of alternative financing options in commercial real estate transactions. She has developed strong relationships with local government economic development and community development departments across the state. She has worked on some of the largest development projects in the metro area, including assisting her client in developing the most comprehensive affordable housing plan in the City of Denver. 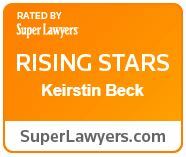 Keirstin Beck has practiced commercial real estate and land use law for almost two decades in Colorado. During this time, Ms. Beck has worked with over 30 local governments to establish countless public/private partnerships that advance local economic development policies and result in tangible economic community benefits. She has substantial transactional experience by virtue of assisting her clients in types of development/redevelopment projects including acquisition/disposition, leasing, partnership agreements, annexation, development and vested property rights agreements and financing. Her primary expertise is identifying, leveraging and capitalizing on alternative financing options in commercial real estate transactions through the use of often unknown/underutilized tax credits/deductions, tax increment financing (TIF), public improvement fees (PIF), Property Assessed Clean Energy (PACE) New Markets Tax Credits (NMTC), and other forms of public assistance, tax credits and economic incentives. Her strong relationship with local governments’ community development and economic development departments has translated into positive benefits for both her clients and the applicable local community. In addition, Ms. Beck assisted in the development and implementation of the Colorado PACE program. Ms. Beck enjoys spending time with her family in any activity that gets her outside including running, hiking, biking and skiing. 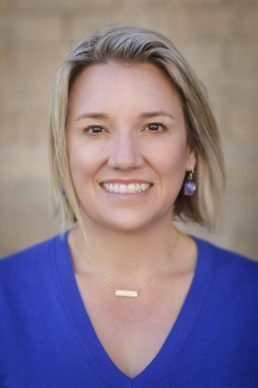 She has previously served on the Board of Directors for the Denver Childrens’ Home and the Boulder Valley YMCA.